You are sure to see targeted results from consumers in areas like Boerum Hill with Valpak’s direct mail solutions. Along with being featured in Valpak’s Blue Envelope, your business can also advertise with Valpak through circulars, coupon booklets and multipanel flyers to ensure your marketing success. Contact us today for more information on all of our digitally-enhanced direct mail advertising options. With an online advertising presence reaching 10 years, Valpak of Kings County is here to build both your print and digital marketing campaigns with access to advertising analytics that monitor your progress. The small businesses in Greater Brooklyn now get to have a marketing network encompassing a reach of over 60 million mobile consumers, an impressive following of consumers both online and in print and experts with 50 years of experience to help walk you through your entire advertising campaign. Now make a smart decision for your local business by advertising with Valpak. 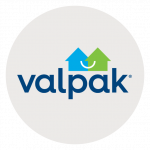 Contact Valpak of Kings County today to reach consumers in Park Slope, Industry City, Sunset, Gowanus, Boerum Hill, Downtown Brooklyn and beyond. For specific dates and coverage, contact your Valpak of Kings County representative.